All eyes will be on you at your next trade show or event with your own custom pop up displays. Pop up display printing helps you stand out from the competition. At events where a lot of attendees are expected, you need every bit of help you can get. With a beautiful banner in your arsenal, people are gonna find it hard to look away. Such tradeshow displays also help introduce your product to everyone. Your booth will be the talk of the show. Your banner will be protected since we include a trolley bag for easy storage. With our optional LED lights, you can literally put the spotlight on your brand. In the event you need a replacement banner, you can order one minus the frame. What are you waiting for? 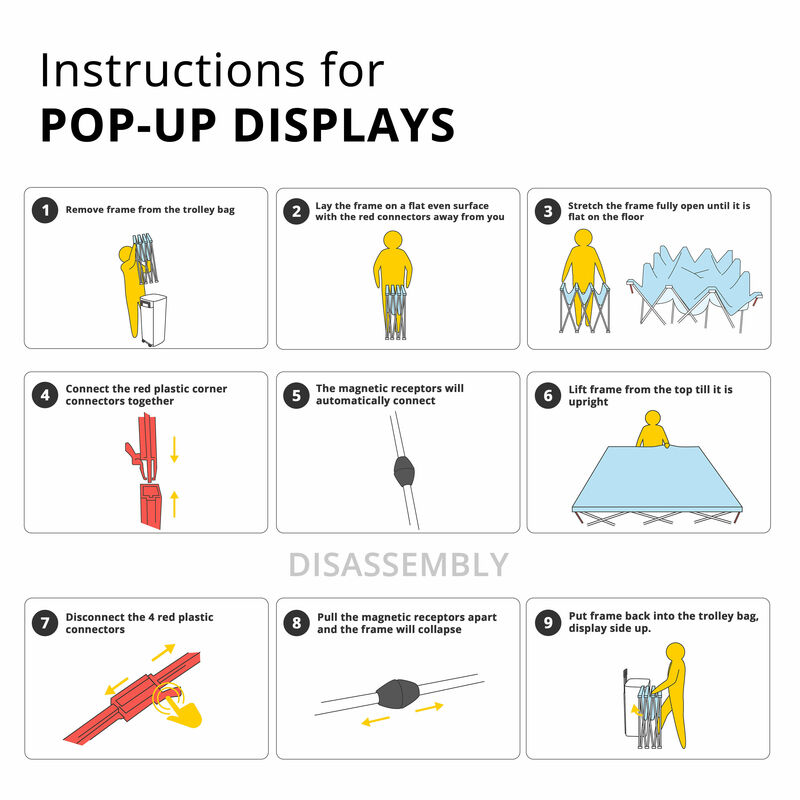 Make your own pop up display today! Pop up display banners are shipped separately and not assembled.